Mamie Catherine Mortensen Freestone, 77, joined her eternal companion, David W. Freestone, on September 1, 2017. She is survived by her sisters Millie McEntire, Lou Foss, McCray Gilpen, and children Audrey Moulder (Mike), Ronald (Kim), Eileen Jones, Darren (Missy), Diane Stowell (Kevin), 12 grandchildren and 5 great-grandchildren. She is preceded in death by parents Richard and Corilla Mortensen, sister Dixie Atkisson, brothers Arvin and Gary Mortensen, and son William Andrew. Mamie was born in Virden, New Mexico on September 14th, 1939. She was sealed to David W. Freestone on April 10th, 1958. 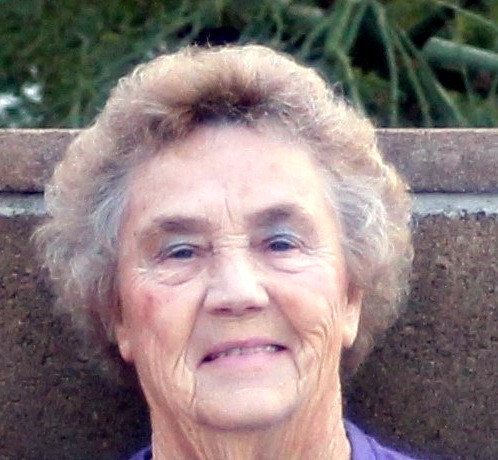 You could always find Mamie baking, quilting, and pinching the cheeks of those she loved. She served till the end wherever she was needed without a complaint. Family was the most important thing to her and she always had a hug or smile (and rolls of course!) to give away. Funeral services will be Saturday, September 9, 2017 at 10 AM, preceded by a visitation at 9 AM, at the LDS Chapel located at 2334 E. Pueblo Ave., Mesa, AZ. This saddens me so much. I worked with Mamie at a school office. I thought the world of her. And just the other day I was thinking of her and noted the need to call into my head. It had been a while since I had seen her. I’m so sorry. I was lucky to interact with her in my younger years. She was always busy with something or helping others with a smile. She was very sweet and had a smile that made you feel welcomed. So thankful to know families are forever. My thoughts and prayers are with your family. I have many memories of your mom with growing up in the 19th and 29th Wards. You have a wonderful family and I especially appreciate too that your mom was recently able to serve as one of the receptionists at the Mesa Wet Pack Cannery where I work. It was so much fun to share about old times. Eileen and I worked together a few years ago at a dental office and that was awesome too. Just know that our hearts are saddened for all of you but we thrill in the reunion she has with your dad. Be strong! !